Update [5:50 p.m.]: According to a family spokesperson, Romulo Avelica-Gonzalez was released from Adelanto Detention Center at approximately 5:20 p.m. and has been reunited with his family. After six months in the custody of federal immigration authorities, Romulo Avelica-Gonzalez was granted bond during a hearing on Wednesday morning and is expected to be released tonight. Avelica-Gonzalez, who is originally from Mexico, was detained by Immigration and Customs Enforcement agents while dropping his daughters off at school in February. A video of the arrest filmed by his sobbing, then-13-year-old daughter went viral, bringing widespread attention to his case. The 49-year-old father of four U.S.-born children has lived in the U.S. for more than half of his life. He was at risk of imminent deportation earlier this month after an emergency stay of removal granted by the U.S. 9th Circuit Court of Appeals expired on August 5. Avelica-Gonzalez was granted temporary relief a few days later, when the nation&apos;s highest immigration court vacated his final deportation order on August 10, meaning his case will return to local immigration court—a process that could take years. ABC 7 reports that bond was granted at $6,000 during the hearing. The Avelica-Gonzalez family has been fundraising to help with legal fees, and donations to contribute toward his bond can be made here. 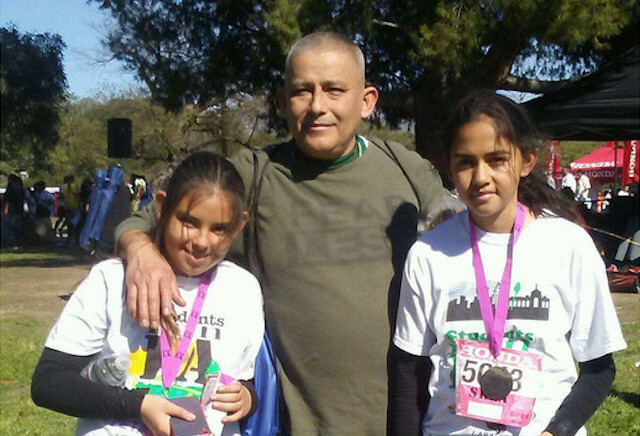 Why Is The City Attorney Taking A Harsh Stance Against An L.A. Father Fighting Deportation?